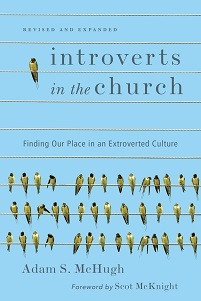 Adam S. McHugh: Introverts in scripture? I have gotten a few questions recently about whether there are any introverts in the Bible. I think people are eager to find biblical models that they can pattern themselves after, in order to learn how to be faithful to God as an introvert. I certainly commend the idea, but I quibble with the hermeneutic. I think we're in danger when we take our hermeneutical grid - whether psychological or scientific or anything else - and superimpose it onto scripture. 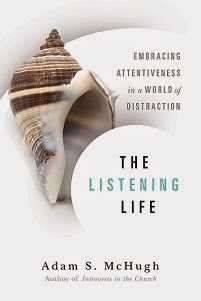 And yes, I'm very aware of the deconstructionist critique that says it is impossible to come to a text with a clean slate, but at the very least, when we know what our own bias is, we should try to set it aside as best we can. We must attend to the historical and literary context of scripture (what the original author intended for the original readers to understand) if we are even to come close to being good readers of scripture. Therefore, I am unwilling to try and find introverts in scripture, because that is simply not part of the worldview of Paul or Luke or Isaiah. It would have never crossed their minds. Luke may have had Mark's gospel, his own independent source (L) and a source he shared with Matthew (Q) but he certainly did not have the Meyers Brigg Type Indicator on his desk. I know where I would be tempted to go- I would like to discover that Timothy's timidity was really uncomfortability with making small talk. Or that Moses' resistance to being God's mouthpiece was because when he stood up to speak in front of people his mind went blank because he hadn't time to internally process what God had just told him to say. Or that Jesus went away into the hills to pray in the morning, not because he was about to reform the tribes of Israel through the 12 called disciples, but because he needed time to recharge his introverted batteries. I think that I can use characters such as Moses and Timothy to talk about facing our fears of leading others and speaking for God. Moses is in fact a very interesting character because he was terrified to speak in front of a crowd, because he was "slow of speech," but then he ends up becoming the spokesman to Pharaoh and Israel, overshadowing even his eloquent brother Aaron. And I can use Jesus' example to stress the significance of solitude, though as Christians we know there is never any true "solitude" because God is Immanuel. What are some other biblical characters that we can point to to help introverts in their journey, without trying to impose our understanding of Jungian psychological types on the scriptures?